It is not always possible to take the results of warm-up and training matches as true indicator of what is going on but there is no doubt that Australia will be feeling rather confident after an excellent win over France on Monday morning. 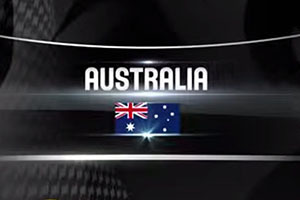 The Boomers managed to defeat France by a score of 76-74, and when you think that the French are currently sitting above the Australian team in the rankings, this is a win that will provide the Australian team with a great deal of confidence. The team has clinched three wins in a row, coming hard on the heels of wins against the Ukraine and the Philippines. The Australian team will now be training and recovering for a week before they face off against France again on the 25th of August. If you have ever experienced the sporting media in Spain, you will know that it is far from being unbiased as you can possibly hope to see. The sporting papers that originate from Madrid and Barcelona firmly plant their colours to the mast. This means you will not see factually correct news or work undertaken by journalists interested in exposing the truth, it means you will receive opinion pieces that could have been written by any fan in the local area. If this is what you are looking to read, you’ll have a great time with the local media but if you would prefer something a little bit closer to the truth, you may be unsure about papers like Marca offer. Can Spain genuinely call themselves favourites for the FIBA World Cup? The paper has declared that Spain, the host nations of the FIBA World Cup are now favourites for the event, which is not quite how the rest of the world sees it. Bwin is still offering odds of 1.57 for Team USA while they have Spain listed at 2.30 to win the World Cup. Team USA are listed at 1.72 on Bet365 while Spain are listed at 2.00. It is fair to say that with respect to the FIBA World Cup betting, Spain have been narrowing the gap behind the American team, which is only to be expected given the build-up the American side has endured. However, it is only in Spain, perhaps where the locals, like the newspapers, are allowing their hearts to rule their heads, that Spain are the favourites. If this is genuinely the case, it indicates that bookmakers will often make teams favourites based on the amount of money that is being placed on them, as opposed to who they genuinely believe will win the event. There has been another injury blow in the build up to the World Cup and for once, it is not Team USA who have suffered. The injury has struck a player who has featured in the NBA though, and it is France who will have to do with Nando De Colo. The former Spurs guard has suffered a broken bone in his left hand, which occurred after a friendly match against the Ukraine. This will be an unwelcome injury for a team who have certainly been placed amongst the strongest outsiders after USA and Spain.